Addresses the dynamics that can transform within a matter of a few years, idealistic and committed law enforcement officers/employees into cynical, angry individuals who begin having difficulties in both the personal and professional aspects of their lives. It points out how law enforcement personnel develop a social perceptual set that can potentially see employees engaging in inappropriate behavior patterns and decision-making that leads to both administrative and can unfortunately in some personnel lead to criminal difficulties. 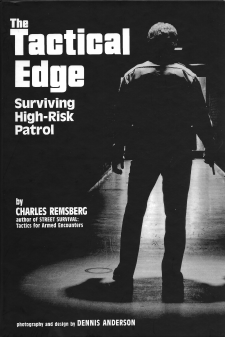 The basic theme and goal of the book is to provide information that lets the officer/employee see how the deterioration process can take place and what specific preventative strategies can be employed to reduce the negative emotional impact of a law enforcement career. The book was written with the goal to provide information that assists law enforcement personnel to remain committed and engaged in productive law enforcement.